(Newser) – Many Londoners might not know their mayor has an American passport as well as a British one—but Uncle Sam is certainly aware of it. 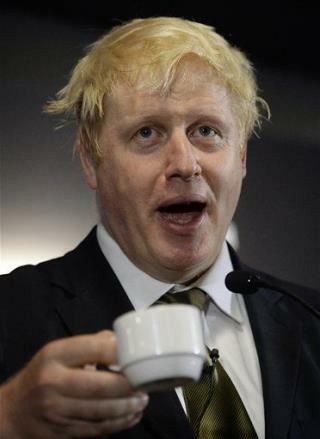 Boris Johnson was born in New York, and as an American citizen, he's liable to pay American taxes, which he has reluctantly agreed to settle before he visits the US next month, reports the Telegraph. A few months ago, he insisted that he wouldn't cough up. "I think it's absolutely outrageous. Why should I?" he said. "I haven't lived in the United States since I was 5 years old. I pay my taxes in full in the United Kingdom, where I live and work." Har-Har! Wait until all you illegals get deported with your anchor babies. YOU'LL STILL BE WORKING AT LOW PAY JOBS TO PAY A COUNTRY's TAXES THAT YOU ILLEGALLY ENTERED, Y-E-A-R-S AGO! Its already being done! (Just another dirty secret.) LOL!